Sidewall Spools are one of the best values we offer. 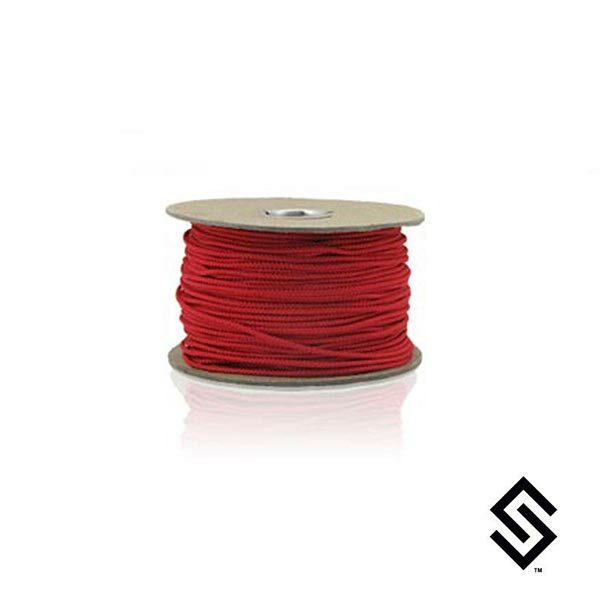 You can get enough string to deck out over 20 mesh pockets with a single 100yd Spool of Sidewall Strings. This is a 1/16 inch Diamond braided thread which is made mainly out of Nylon. Other uses: This string is great for making emergency bracelets and can be used for general repairs to equipment such as restringing the wrists of your gloves.